The two main changes in the new stalking law that social media fans need to take into account are the following. Under the new law you can stalk someone solely by using electronic or social media. This means text messages, twitter, instagram, facebook, etc, Under the law two or more posts on social media could constitute stalking behavior. The second big change is the subjective impact of the actor’s behavior upon the victim. Under the old statute the law limited the statute to include conduct that would have made a “reasonable person” fear for their physical safety which to me seemed like a fairly reasonable standard. However the problem was that there were many cases in which alleged stalking victims were making stalking complaints to the Police who were then unable to take any action because the stalkers behavior (although possibly irritating to the victim) did not rise to the level of conduct that would have made a “reasonable person” fear for their physical safety. For example, a man tries to get a woman to date him and sends her flowers and love letters. Although this may be very annoying to the woman, this behavior is probably not enough too make a reasonable person fear for their physical safety. 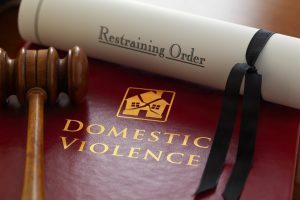 This obviously casts a much wider net for the stalking statute and is going to lead to a lot more stalking arrests going forward as no longer is there a requirement that your conduct would have placed a “reasonable person” in fear of their “physical safety.” Now the statute is less concerned with physical safety and has expanded to criminalize situations where you have “upset” the victim and they have suffered emotional distress. This is a big shift. For the first time the new stalking statute includes electronic communication and posting on social media as conduct which is covered by the law. No longer is this a statute aimed at people waiting outside some victim’s house late at night making them feel “unsafe.” Starting October 1, 2017 we are going to start to see arrests for people who are going on social media and engaging in cyber stalking behaviors. According to recent statistics the incidence of cyber stalking has over taken traditional stalking behaviors. Apparently cyber stalking is a huge problem for youths in our schools as well as social media has proliferated. The new law is going to expose a lot of people to arrests for stalking in Connecticut. I can imagine a lot of people who have broken up and terminated a dating relationship who may be tempted to get in the last word by posting some “dirt” on the other’s social media accounts. Under our new stalking statute this kind of conduct can result in your arrest. The standards for the crime of stalking have been lowered and they have expanded the law to cover cyber stalking in Connecticut.